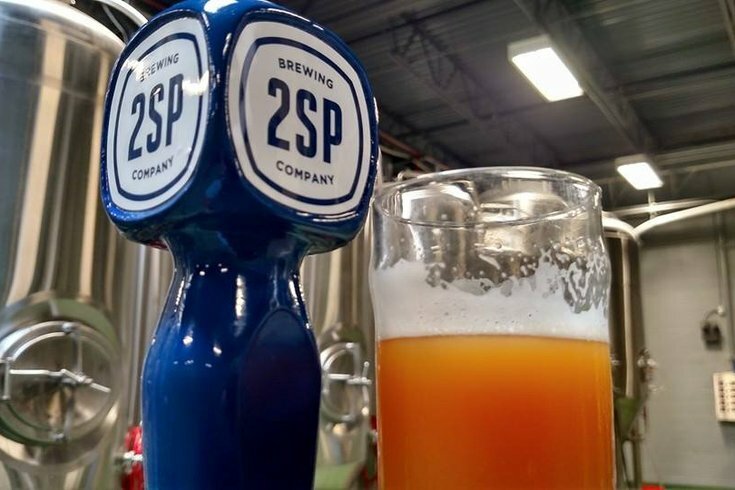 2SP Brewing Company launched with five craft beers on draft at participating restaurants. 2SP Brewing Co., a new brewery based in Aston, Pa., will launch Delco Lager and two other craft brews as its introductory lineup, according to the Philadelphia Business Journal. 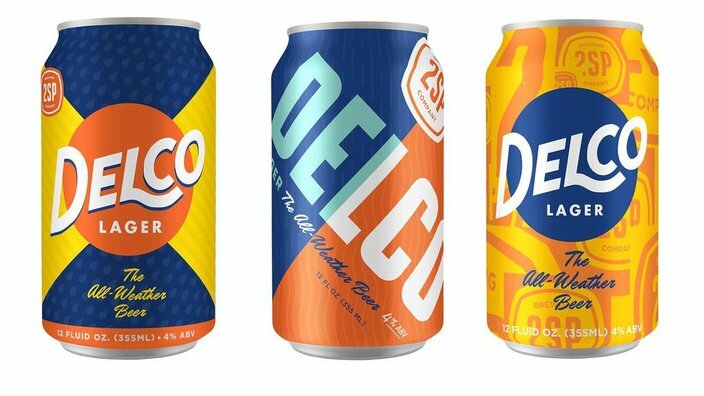 Delco Lager, branded as the "All Weather Beer," will be a malty American amber with a "whiskey flavor." Alongside that brew, the 15,000-square-foot brewery will offer Bellcracker Double IPA, Baby Bob Stout and the Weiss Wit, described as aromatic and slightly tart. The brews will at first be available only on draft, and will hit restaurants next month. A rendering of what the can packaging will look like when it's introduced in 2016. 2SP Brewing Co. Suburban restaurants that will sell the draft in the weeks ahead include Dino's Bar & Grill in Glenolden, Delaware County, and Maggie May's Campus Pub in Chester, Delaware County; in the city, you can try the beer at Memphis Taproom in Fishtown, and Jose Pistola's in Center City. 2SP Brewing Co., founded by Michael Stiglitz and Ben Muse, aims to first focus on populating the beer in Delaware County. The brewery joins a growing craft beer scene across the country, led locally by brewery mainstays like Flying Fish, Yards, Victory and Philadelphia Brewing Co. There are 3,799 breweries in the country as of 2015, up 699 from the previous year.